Due to very low number of participations we have increased the prize to winner ratio to approx 4 times to increase the prize value. ***Update: We were supposed to send the gift by the first week of August but due to some difficulties we were unable to provide it in given time. To compensate for that we'll be providing extra 10% to all the winners. The new vouchers with extra amount will reach by 31st September, 2015. We appreciate your patience. 1. Become a member of our Social Media page. 2. Purchase Yuphoria from Amazon India on the day of fourth sale on 28th May, 2015 from the Yuphoria Sales Page. 3. After the phone is delivered to you, send us a snapshot of how you've used the customized your phone e.g. your Notification Bar, Lock Screen, App Themer, Menu. Distribution : (40% Snapshot, 40% Activity on our Page, 20% Sharing the Contest). 1. The contest link will be posted on our FB Page on 28th May at 1 PM, you need to purchase the phone using our link. 2. You will have 15 days to submit your entries. 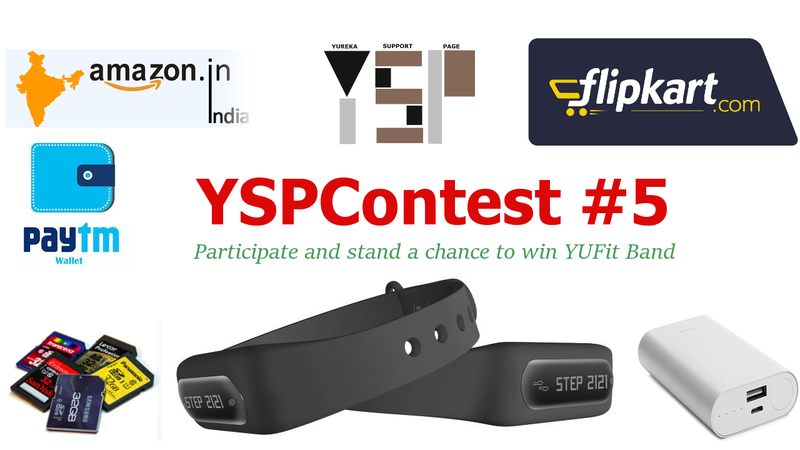 We will accept entries till 12th June, 2015 11:59:59 PM after which all the entries will be invalid. 3. Only those buying the phone on the day of the sale will be eligible for the contest. 4. Total prize money will be proportional to the number of contestants by the ratio of 50. If there are 10 participants in the contest the total prize money will be ₹500 and for 100 participants it will be ₹5000 and so on with no upper limits, we may increase the ratio depending on the total participants. Minimum prize money is ₹500. 5. Winners will be announced on 16th June, 2015. 8. Before prizes are distributed orders will be verified from Amazon India. You'll need to provide your order Id and necessary details. 11. Gifts will be dispatched 65 days after the contest ends. Please be patient. The prizes will be sent by first week of August. 12. If you don't use Facebook alternatively you can use our Twitter, or Google Plus Page to participate in the contest.